These donuts are a favorite in my house. They are quick, fun, and colorful. My kids love to eat them warm with the glaze dripping off. Plus, they make your house smell amazing!! Whisk in the butter, milk and egg until mixture forms a smooth batter. 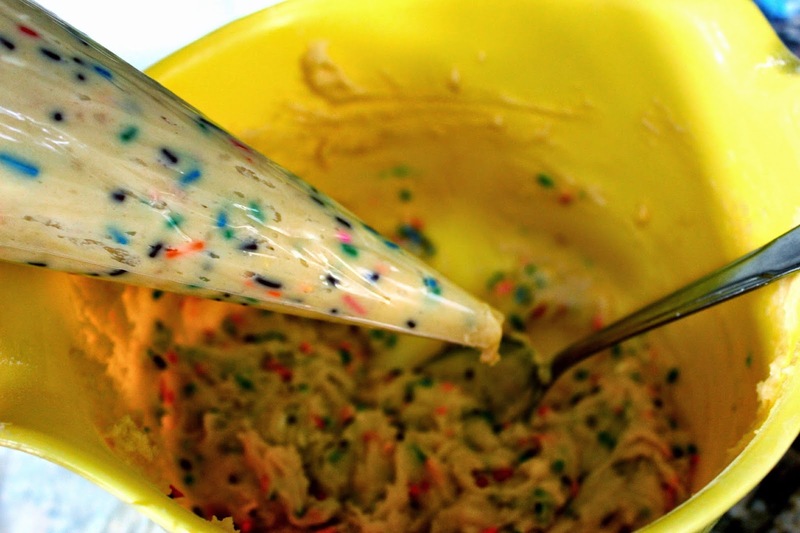 Add sprinkles and mix through. Transfer to a piping bag. Thanks, Cathy. I will check it out! 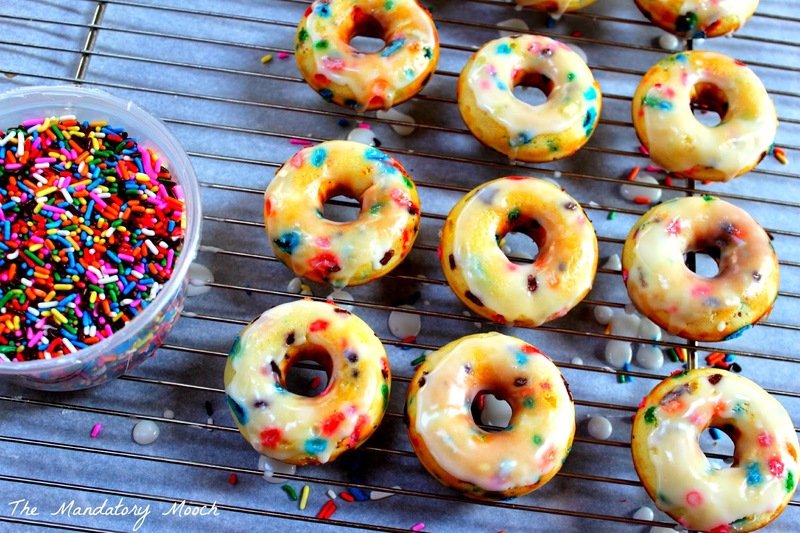 These donuts look delicious! Pinned! Thanks, Wanda. Always good to see you here! Mmmm...I'm inviting myself over next time you make them, lol. Thanks for linking up with Thursday Favorite Things! Those looks amazing...My daughter would love them too!! Found you on artsy fartsy mama- Link Party! I would love for you to stop by and share your stuff on my Link Party - My 2 Favorite Things on Thursday!! I would love to have you!! These look amazing! My kids would love them! These are SO fun and bright! My kids would LOVE them! Oh my goodness! These would make my children to very happy. Thank you for the recipe and for sharing on Show Me Saturday! 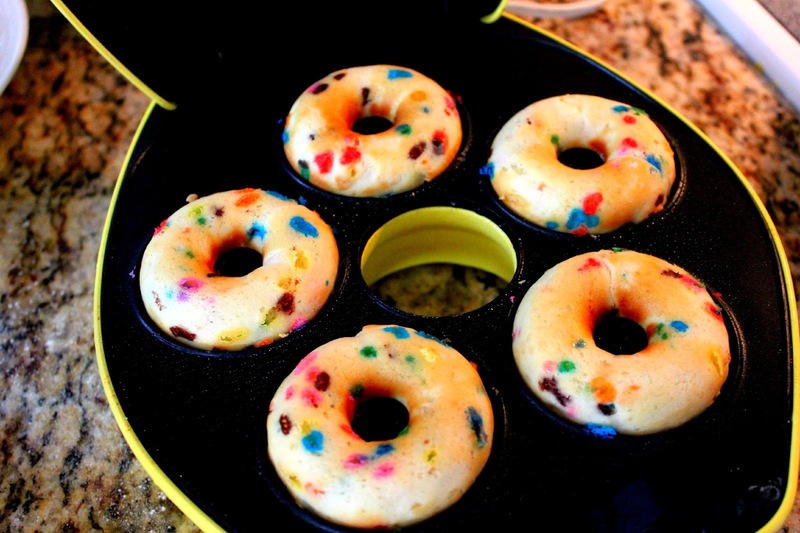 Okay, dang, now I need to go buy a donut pan. I've been trying to talk myself into it for a while now, but just haven't found the right excuse. I think these may be the answer. 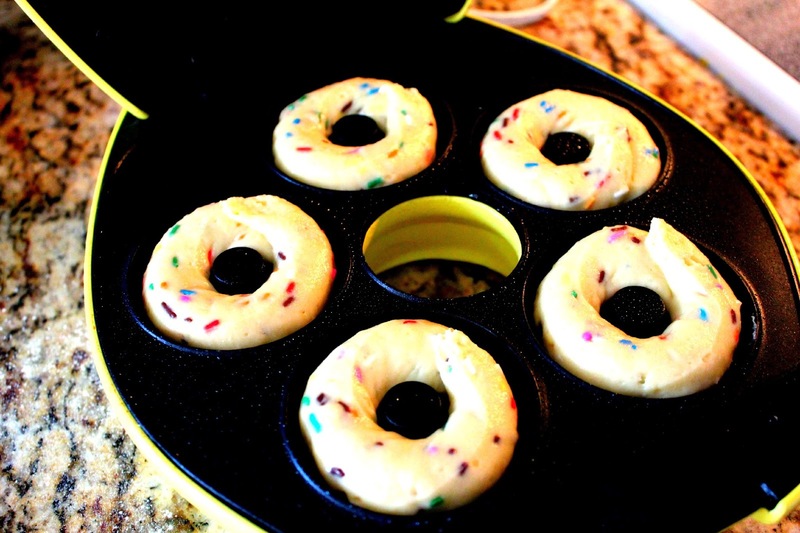 We love donuts on Saturday morning to kick off the weekend and I know it would be so much cheaper to make our own. Plus, the kids would have a ball baking them. I'm pinning this so as soon as I get back from the store this weekend I can give them a try. Thanks so much for sharing them on Dare to Share Saturday. I'm sure these are going to be a favorite in our house!